Ibn Khaldun (1332-1406 C.E.) is widely known as a brilliant historian, philosopher, sociologist and anthropologist. His contribution to the subject of economics is also equally significant. Unfortunately, however, his views on economic matters have not received adequate attention. Some of the seminal ideas on economic issues enunciated by Ibn Khaldun more than six centuries ago were later taken up and elaborated by the Mercantilists and the classical economists such as Sir William Petty (1623-1687), Adam Smith (1723-1790), David Ricardo (1772-1823), Thomas R. Malthus (1766-1834), Karl Marx (1818-1883) and John Maynard Keynes (1883-1946), as well as by many contemporary economic theorists. The principal objective of this paper is to identify and expatiate on Ibn Khaldun's contribution to one of the most important branches of economics, that is, public finance. Public finance deals with state finances in general and with taxation, public expenditure and public borrowing in particular. Aby Zayd Abd al-Rahman Ibn Khaldun was born in a prominent and learned family of Tunis on the 1st of Ramdan732/27 May 1332. His grand-father, Abu Bakr Muhammad ibn al�Hasan, occupied a high position in the royal court and was in-charge of finances during the reign of Abu Ishaq. 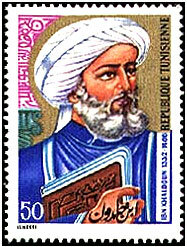 Abu Bakr's son Muhammad also occupied various official positions both at Bougies and Tunis. Ibn al Lihyani, son of Muhammad and father of Ibn Khaldun, eschewed politics and led the life of a faqih [ jurist] and a man of letters. The career of Ibn Khaldun may be divided into three parts. The first twenty years of his life were spent in the pursuit of education. He learnt the Quran, memorised it and studied different styles of recitation and interpretation. He studied hadith, jurisprudence, grammar and rhetoric under the tutelage of some of the most eminent scholars and teachers of Tunis, which was at that time a prime centre of learning, after Cairo, in North Africa. In 1349 CE, North Africa was afflicted with the Great Plague, a horrifying calamity that befell large parts of the Muslim world from Samarqand in Central Asia to Mauritania in Africa. Ibn Khaldun lost both his parents and nearly all his teachers. Ibn Khaldun devoted the next 23 years of his life to the pursuit of higher learning. As an ambitious man, Ibn Khaldun was also consumed by a passion to achieve worldly success and prosperity. North Africa at that time provided several avenues of success for men of ability, ambition and drive. 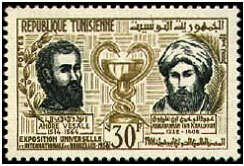 Ibn Khaldun was quite close to the Emperor Abu Inan, the greatest monarch of his time in North Africa, and this association, which lasted for 30 years, proved to be momentous in Ibn Khaldun�s career. It brought him great prestige, power and prosperity. He spent the remaining 31 years of his life as a private scholar, teacher and magistrate. The early periods in his life were spent in Morocco and Algeria while he spent the last years of his life in Morocco, Algeria and Egypt. Ibn Khaldun�s works sought to deal with the problems and challenges that had confronted the state and society in North Africa during the 14th century. His grounding in philosophy provided a depth to his writings and facilitated theoretical generalisations from his observations and personal experiences. Ibn Khaldun wrote many books, most of which did not survive the vicissitudes of time. His magum opus, the Muqaddimah, is a testament to his genius and his multi-faceted contributions. There is a close linkage between public finances and the structure and role of the state. It is therefore profitable to proceed with a discussion of Ibn Khaldun�s view on the role of the state. Ibn Khaldun holds that the state is not a subject of abstract speculation or of utopian ideals, but has a concrete political and existential reality and has a close bearing on human behaviour. Ibn Khaldun argues that human society is necessary because individuals acting alone cannot acquire and manage either resources for food or security. The state arises out of the need to curb the aggressive instincts embedded in human nature. The state is inconceivable without society, while society is well-nigh impossible without state. According to Ibn Khaldun, the strength of the state depends upon society, the prosperity of business, the intensity of human efforts and the search for gain. If men slacken in their economic activities the markets slump and society deteriorates. People leave that country and migrate elsewhere in search of a decent livelihood, resulting in the desertion of cities and weakening of the state. Ibn Khaldun argues that the system of caliphate is the most viable and best form of governance and administration. The misfortunes of history are caused by the wilful violation of the cardinal principles of the Islamic shari�ah, as well as by the sins of pride, over-indulgence and luxury, and avarice. The rise and fall of states, societies and civilizations, according to Ibn Khaldun, can be attributed to this fundamental principle. The rise and fall of states and civilizations, according to him, take place in a cyclical manner. In academic discourse, three distinctive approaches towards the structure and role of the state can be identified. These can be described as are libertarian, collectivist and neo-liberal. Each of these approaches reflects the dominant philosophy or climate of opinion in a given period of time. The libertarian approach emphasizes the efficiency of market mechanisms and envisages a minimal role for the state. The scope for public finances, according to this perspective, is restricted. The collectivist approach, on the other hand, which is also known as the interventionist perspective, was born out of the economic shocks experienced by several countries during the early decades of 20th century. It calls for a proactive role on the part of the government necessitating unrestrained public finances. The later decades of 20th century brought to the fore the pitfalls inherent in the interventionist perspective. The major argument was that institutions and persons had to face high inefficiency costs because of excessive taxation, huge expenditure and heavy public borrowing. Rent-seeking activities and free-riding were other two prominent shortcomings identified with the interventionist role. It is in this context that the neo-liberals plead for a restrained role of government. They, therefore, restrained public finances. Ibn Khaldun, like Muslim scholars and writers in general, considered the time of the Prophet and the first four caliphs as representing the perfect model for society and state. The first city-state in Islamic history was established by the Prophet in the wake of his migration to Madinah in 622 C.E. The city-state was conceived and created by the Prophet in order to ensure order and stability, social and political solidarity and security for the Muslim community. The Islamic faith strikes a fine balance between individual and society, between personal autonomy and the social order. The structure, functions and role of the Islamic state exemplify this harmony. In respect of the management of the economy, Islam encourages public as well as private participation. Since Islam aims at falah (all-round wellbeing) and adl [balance, justice], excessive and uncalled for intervention by the state is eschewed. It accords preference to public interest over private interest in critical and core areas of the economy. Consequently, its approach towards public finance is also marked by balance and moderation. The following Table summarises the approaches towards the structure and role of the state. Limited public borrowing Expansive public borrowing Restrained public borrowing borrowing permitted during exigencies. Ibn Khaldun is against a proactive and interventionist role on the part of the state. He is against the idea of the king or the ruler engaging in trade, commerce, agriculture and other economic pursuits. Ibn Khaldun argues that if the king engages in trade and commerce and other economic pursuits, it will have adverse economic consequences for his subjects. Farmers and merchants, for example, would find it difficult to buy livestock because they would not have the same amount of resources as the king. Furthermore, the king�s power and authority would prevent ordinary traders and merchants to bid for commodities against him. Moreover, the king may force merchants and farmers to buy products and commodities from him at rates fixed by him. Thus merchants would not have the freedom or power to trade independently in competitive conditions. The concentration of trading authority and resources in the ruling class would therefore undermine entrepreneurship. The relevance of views of Ibn Khaldun in this respect can be better appreciated in the contemporary context of an excessive, and at times aggressive, intervention on the part of governments, which suffocates and chokes private enterprise. Economists speak of �crowding-out effect� to describe this particular phenomenon. Ibn Khaldun�s Muqaddimah contains a wide-ranging discussion on the core areas of public finance, which attests to the originality of his thinking. His view are based on an ingenious synthesis of ideas and principles drawn from the Quran, the Traditions of the Prophet and the works of Muslim thinkers and philosophers. The classical and neo-classical economists believed in the efficacy of market mechanisms. According to them, market forces, such as demand and supply, operate autonomously and 'invisibly'. Thus Adam Smith, who is regarded as the father of economics, coined the term "invisible hand" to describe the functioning of the market economy. He and his followers assigned a limited role to the government and saw little or no need for taxation and public expenditure. They developed maxims such as "the best of all taxes is the one which is least in the amount" and "the best of all plans of expenditure is to spend the least". Ibn Khaldun is of the opinion that the expenditure made by the king "flows like water, fertilizing all that it touches". This statement is of immense significance because public expenditure stimulates economic activity when the private expenditure is inadequate. The role of kings and emperors is now assumed by democratically elected governments. Their expenditures stimulate and sustain the growth process. The views of Ibn Khaldun are very close to those of modern economists who favour government expenditure for a variety of reasons, including employment generation, correction of personal and regional disparities, human resource development and infrastructure development. The recent spending "packages" announced by the U.S. and several other Western governments are intended to work towards this end. Ibn Khaldun suggests that the king, representing the state, should promote and encourage economic activities. He is of the view that the state generates market for goods and services produced privately. This in turn facilitates productive and entrepreneurial activities. He opines that the king himself and his nobles spend huge amounts of money which, directly or indirectly, benefit a large number of people having direct dealings with court and courtiers. In turn, these people become rich and start spending lavishly. Their expenditure, along with spending of king and his nobles, promote arts and crafts causing further advancement of �all that is meant by civilisation�. Ibn Khaldun suggests that the state should promote and stimulate economic activities. He holds that the state represents the greatest market for goods, facilitating productive enterprises. Furthermore, he argues that the money raised by the ruler from the subjects goes to the courtiers, whose expenditure reach to the large number of private citizens inhabiting the metropolis, who have dealings with the court and officials, whose fortune consequently grows, and whose standard of living rises. These private citizens soon acquire habits of luxury, which promote the crafts and arts, and all that is meant by civilization. G1 stands for the increased government or public expenditure. This stimulates output and employment generating activities. It is rightly argued that the public expenditure provides much-needed antidote during depressing conditions. Even during normal conditions, public expenditure helps economies in maintaining a desired rate of growth. Ibn Khaldun also speaks about different types of expenditure which have different socio-economic implications. His mention of luxurious waste by kings and their nobles deserve a serious attention. He is of the opinion that the decline of mighty empires is caused by an increase in luxurious spending by men who wield power and authority. While criticizing luxurious and wasteful expenditure, Ibn Khaldun emphasizes the need to spend on social heads. He writes: �Take care of the poor, widows and orphans; pay them special stipends from your treasury� do the same to the blind and to those who can recite the Quran�. And, "provided this does not overburden the state treasury, build hospitals for sick, with a staff of physicians and attendants who will look after them and administer to their needs�. He also suggests payment of a �special stipend� to people suffering from different disabilities. Here Ibn Khaldun emphasises the need for humanitarian expenditure. He may be regarded as a precursor of the modern concepts of old age homes, homes for the destitute and public hospitals. In addition to its welfare program, the government should spend its tax revenue wisely to improve conditions of its "subjects, to safeguard their rights and to protect them from harm. Here Ibn Khaldun endorses the expenditure on the provision of internal and external security. At a given point of time, the capacity of a state to finance its expenditure depends greatly upon its ability to mobilise resources in an efficient manner. Ibn Khaldun�s views in this connection are refreshingly original. He puts different taxes into two categories, namely �good taxes� and �bad taxes�. �Good taxes are those taxes, which are collected according to the shariah, expressly ordained by Allah and His Messenger. These are zakah, land taxes and the poll tax (jizyah). They are good because they constitute small assessment, which do not destroy incentives. Among the bad sources of revenue to the government are high custom duties, revenues from the commercial activities of the government, revenue obtained through other confiscatory levies and forced labour, etc. He states that the strongest incentive for cultural activities comes from the lowest possible taxes levied upon persons capable of undertaking enterprises. This statement of Ibn Khaldun makes a reference to the correlation between taxes and incentives which normally include the desire to work, earn, save and invest. In a larger context, incentives are destroyed when tax rates are high. Economists use the term "efficiency loss" to describe any damage to incentives. This is a core issue in the area of optimal taxation. Several econometric studies have demonstrated the deterrent effect of high tax rates. Universally, the growth of the parallel economy of black money is attributed to high taxes on people and materials. It is remarkable that more than six centuries ago Ibn Khaldun spoke of the disincentive effect of high tax rates. He favours shariah-based taxes whereby the minimum rate is determined at 2.5 percent and the maximum rate does not exceed 20 per cent. Economists argue that disincentive effect is not all that strong when the tax rates are between 10 and 20 per cent. Ibn Khaldun argues that taxes collected at low rates generally lead to more revenues for the government while taxes with high rates bring in less revenue. Extremely high taxes lead to the fall of civilizations. He is, however, careful enough to maintain that tax rates administered below those set by the shariah will deprive government of the required revenue. Therefore, both extremely low and extremely high taxe rates need to be eschewed. Ibn Khaldun writes that, in its incipient phase, the state commanding religious authority collects more revenue from a small number of taxpayers. It extracts only those dues [taxes] as provided by the Islamic law, such as zakah, ushr, kharaj and jizyah. The shariah based levies have a divine sanction regarding base, rate, exemption limit, methods of collection and disbursement. Overall, the shariah levies demonstrate commendable moderation. Consequently, enterprises develop because businessmen feel that it is worthwhile to part with some amount of money in taxes. And, as businesses prosper, the number of taxpayers grows and the total tax yield increases. According to Ibn Khaldun when the dynasty continues in power and their rulers follow each other in succession, they become sophisticated. The tribal way of life of people changes in favour of more settled one. Their needs and exigencies grow owing to the luxury in which they have been brought up. Hence, the king and the officials of the state adopt a luxurious way of life. In the opinion of Ibn Khaldun they start extracting more revenue by increasing rates of various taxes. Thus, in the later stages the burden of taxation increases and the revenue falls. This is exactly the argument advanced by modern economists in general and supply-siders in particular. They argue that high tax rates need not bring in more revenue; on the contrary, they yield less revenue. Persons, institutions, businesses and companies start underreporting their incomes and transactions once they feel that tax rates are confiscatory. Ibn-Khaldun has warned against possible adverse effect of excessive taxes on the desire to work hard and subsequently on economic growth. He is of the view that the ruler should collect taxes in a just manner and according to the ability of the taxpayers. None should be exempted from paying taxes because of his status or riches or position. At the same time, Ibn Khaldun warns against the use of coercion in collecting taxes. He is against a policy whereby revenue is collected in order to just enlarge the treasury. He advocates that the object should justify collection. Revenues should be spent judiciously. Ibn Khaldun observes that when there is a fall in revenue due to either high tax rates or the flight of capital and entrepreneurial activities to low taxed activities and areas, the people at the helm of affairs fail to judge the exact cause of fall. They mistakenly point to a decline in revenue to low tax rates and try to remedy it, in a wrong way, by increasing tax rates still higher. Hence, tax rates reach a confiscatory level leaving no profit to businesses. Consequently, businessmen and their businesses disappear from the scene. The above-mentioned notion of taxation as enunciated by Ibn-Khaldun was picked up by Arthur Laffer, an eminent American economist whoserved as an advisor to the U.S. President Ronald Reagan in the early 1980s. He shot to limelight because of his advocacy for low tax rates. He invented a famous curve, now popularly known in academic circles as the Laffer curve. His argument is as follows: At both extremes of taxation�zero percent and one-hundred percent�the government collects no revenue. Laffer and other economists used the curve to argue that taxes were currently too high. They further argued that in order to encourage enterprising activities, tax rates should be brought down. Currently, we notice a world-wide trend in favour of low tax rates on men and materials. Surprisingly, Laffer does not claim to have invented the concept; He attributes it to Ibn-Khaldun. Thus, the well-known Laffer curve is nothing but a graphical representation of the theory of taxation developed by Ibn Khaldun in the fourteenth century. This brief paper has attempted to demonstrate that Ibn Khaldun rightfully belongs to the galaxy of the earliest fiscal economists. It would be fruitful and rewarding to examine the relevance of his ideas in other branches of economics. This can be done by a critical study of those parts of the Muqaddimah which deal with economic issues and an examination of their relevance in the context of present times. Fuad, ba Ali., Ibn Khuldun�s Science of Human Culture, Adam Publishers and Distributors, Delhi, 1996. Issawi, Charles., �Ibn Khuldun�s Analysis of Economic Issues� in Readings in Islamic Thought edited by Abul Hassan .M.Sadeq and Aidit Ghazali, Longman Malaysia, Kuala-Lumpur, 1992. 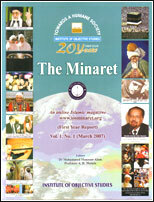 Peerzade, Sayed Afzal., Islamic Public Finance and Policy, Idarah-i- Adabiyat, Delhi, 2004. Rahatunissa, Contribution of Early Muslim Scholars to Economic Thought, Unpublished Ph.D. thesis, Karnataka University, Dharwad, 2006. Rahmani, Raghib., Muqadimah, Urdu translation, Iteqad Publishing House, Delhi, 1987. Rosenthal, Franz., Muqaddimah : An Introduction to History, Translation from Arabic, Rutledge and Kegan Paul, London 1958. Zakaria, Rafiq., Struggle Within Islam, Viking Books, 1988.